Tai Ward believes in mixing business with pleasure. 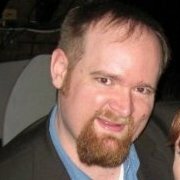 That’s why he founded his company, Big Game Software, in 2006. And it’s why he enjoys being part of the CoLab community. Big Game Software was born out of Tai’s love of sports and a desire to work for himself. He had written software in high school and college and wanted to become an entrepreneur, so it made sense to build a business around fantasy sports. “I worked for other people, and it wasn’t as fulfilling,” he said. Big Game Software has been profitable for the past 10 years, and Tai now enjoys increased workplace happiness, thanks to the Fairfield CoLab. As president of the Fairfield CoLab, Tai spends a lot of time in the space. 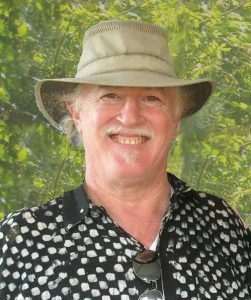 He shares an office with fellow CoLab member Marla Brader, who is the Events Planner for 1st Friday Art Walk, and he’s a regular presence at member breakfasts, happy hours, and volunteer workdays. He was an integral part of getting the CoLab off the ground, and he’s a consistently friendly face around the space. Before becoming involved with the CoLab, Tai spent four years working out of his basement as a remote Software Engineer for bswift, a large technology company that serves the healthcare industry, which he is still employed with, in addition to still owning Big Game Software. He has admitted that it would get lonely working on his own all day at home. In the CoLab, he has plenty of people to chat with and opportunities to exchange ideas. He also believes that the CoLab’s nonprofit status inspires people to pitch in on projects around the space, furthering the connection between members. He’s even turned CoLab initiatives into a family affair, inviting his daughters Elliott and Delaney to get involved. Tai asked them both to create ads for the CoLab while he was cooking dinner. Elliott drew a picture of her sister eating popcorn at the grand opening, and Delaney depicted her dad and CoLab administrator Joshua Laraby working in offices next to one another. 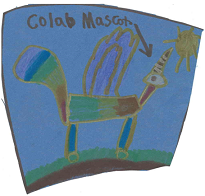 Elliott also dreamed up the CoLab’s mascot, a rainbow Pegasus, which will soon have a place of honor at the front desk. Tai’s personality and community mentality are an excellent part of the CoLab that all the members really enjoy. Marla Brader hadn’t heard of Fairfield CoLab and was unsure about how working in the space would affect her work prior to relocating the Fairfield Artwalk offices to the CoLab. When she was first presented with the opportunity to move her office into the space, she hadn’t heard of coworking and didn’t know what to think about it, but she kept an open mind and gave the arrangement a try. Now, she says, she can’t imagine her office being anywhere else. Despite her initial hesitations, Marla’s found that the CoLab is the ideal work space for planning and coordinating Artwalk events. 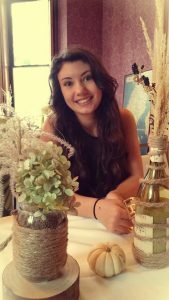 She says she’s able to bounce ideas off other CoLabber’s, and she enjoys interacting with all of the kind and helpful personalities who also use the space. Plus, she says, working in the CoLab is just fun. Marla credits her office mate, Tai Ward, with adding to the comfortable atmosphere. Ward, who is the founder of Big Game Software and the president of the CoLab, always keeps a great sense of humor and a positive attitude, Marla says. 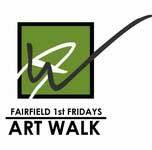 She also partners with Adam Plagge, Executive Director of the Fairfield Economic Development Association (FEDA,) and FEDA’s Economic Project Coordinator Joshua Laraby when planning Artwalk features. 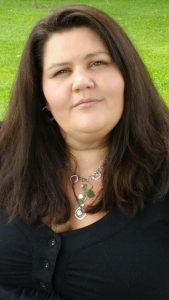 Marla’s collaborative approach is a great example of the CoLab’s mission to bring people together to create new ideas. Marla’s work in the CoLab also illustrates the way the CoLab and the broader community are intertwined. Through her interactions with fellow CoLab members–whether that’s chatting over coffee in the morning or talking through the next Artwalk theme–Marla’s positive and friendly presence in the CoLab provides a bridge between the CoLab’s mission and greater Fairfield. Right now, Marla’s gearing up for the June Artwalk, which will be the first outdoor event of the season. The theme is “Celebrating Community and Culture” and will give people a chance to mingle and enjoy Fairfield in the warm weather. 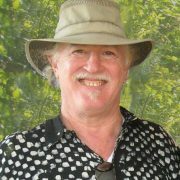 Jeffrey Smith founded his company, SEO Design Solutions, in Chicago in 2006. 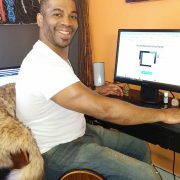 Jeffrey first learned about SEO (search engine optimization) while founding and working on his first company, Aeron Lifestyle Technology, in the 1990s. The company had invested all its money into manufacturing its first product, the Drive-Time Car Diffuser, and had little left over to market it. Jeffrey and his colleagues focused on building Aeron’s website and web presence. In addition to tradeshows and traditional advertising, they used targeted phrases to boost Aeron’s rankings on Yahoo, Lycos, Hotbot and Go.com. Aeron didn’t have many competitors at the time, so it earned high ranking results and was able to expand its online presence and distribute to more than 17 countries as a result. After working to help launch Aeron, Jeffrey was able to take some time off. In 2006, he came out of retirement and started the SEO Design Solutions company. Jeffrey used his SEO knowledge to help clients earn high Google rankings using competitive keywords related to their businesses. “Search engine optimization is important for any business,” Jeffrey says. SEO strategies help customers find companies online based on keywords and phrases that are relevant to the products and services they offer. When Jeffrey launched SEO Design Solutions, he and his team wrote long-form blog posts of 2,000-3,000 words per day and soon had 100,000 hits on their site. Brands such as Michaels, Comodo, American Express, Food and Wine Magazine, and others hired them for consulting and SEO services. Along the way, Jeffrey and his team created custom SEO software that worked in tandem with WordPress (a popular software platform for content creation) that allowed them to optimize their clients’ sites. They ended up sharing it with the WordPress community, and as a result their plug-in now has more than two million downloads. SEO Design Solutions mostly focuses on software sales to the masses. Though it had 17 people on staff when it was based out of Chicago, Jeffrey’s team is now mainly virtual. He works with contractors who hail from all around the world, including Serbia, India and Korea, and he communicates with them daily through Skype. Jeffrey embraced SEO because it was a necessary skill for the times. He recalls that when he first got into this field, companies utilized things like the Yellow Pages, newspapers, and magazines to reach their customers. The Internet brought a whole new era. Websites were something entirely new and “We just had to jump into it,” Jeffrey says. Search engines became the preferred search method versus bulletin boards, which were the first communities online. Jeffrey says he has witnessed the evolution of the Internet. He began using computers when he was eight years old and was programming his own games even then. 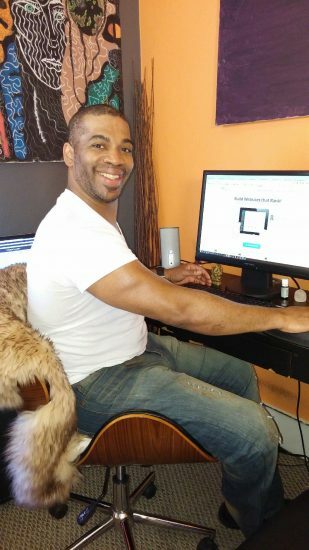 As he got older, it was “really quite natural to utilize computers” to promote his business, he says. Eventually, they reached their biggest success, getting the key phrase SEO on the first page of Google for his company. Jeffrey works late, and he’s always one of the last Co Labbers to leave at night. He always makes sure that his client work is done, marketing and administration tasks are handled, and that his teams are coordinated. He’s in his office a lot, but he puts in 12-hour days by choice. He really loves what he does. Jeffrey says he loves the Fairfield CoLab space and the grit of the entrepreneurs around him. It brings him back to a more artistic time in his life where you had the support of others and people to bounce ideas off of. You can see in his office the creativity he possesses. It’s full of bright colors and designs that create a wonderful atmosphere you notice when you walk in.